It's been a long time since we've looked at the wild and wonderful world of escapism and pop culture fandom. But we're bringing back Escape Artists, albeit in a more manageable way. It was becoming crazy impossible to write up an article every month on dozens of stories. So we've turned it into a Top 5. 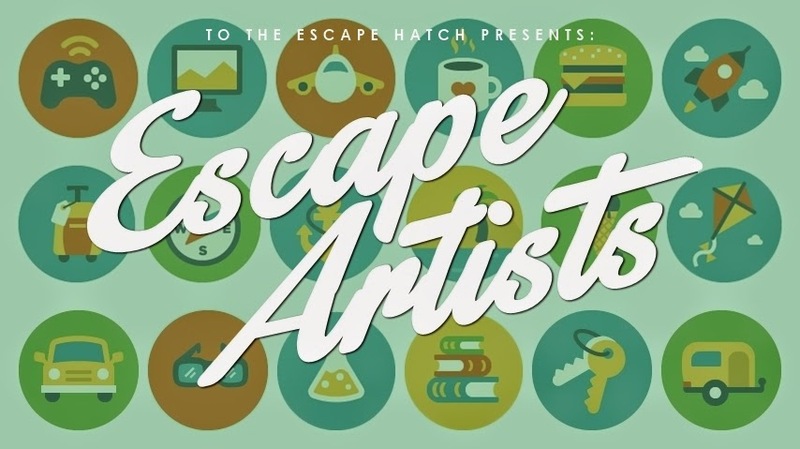 You can still check out all the escapist stuff we notice every month over at our Storify. But for now, here's January's Top 5 Escapist Stories. First up - Wizard Pong is a thing. It pretty much sounds like beer pong with obstacles in the way. Why no one (me?) didn't think of this while I was actually in college (Pottermania was in full swing then) is a shame. 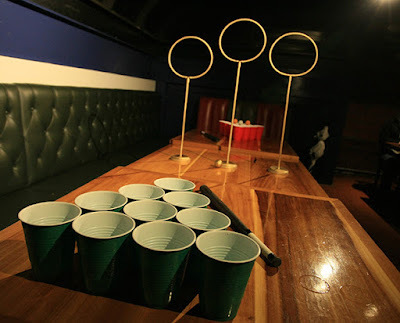 When I initially noticed all this, it was called, you guessed it, Quidditch Pong, but it looks like they had to change it, for obvious reasons. The sets are sold out, but I'm betting we could just make one. It goes without saying that pop culture themed bars and restaurants are all the rage now. Remember that recent Will Ferrell bar? 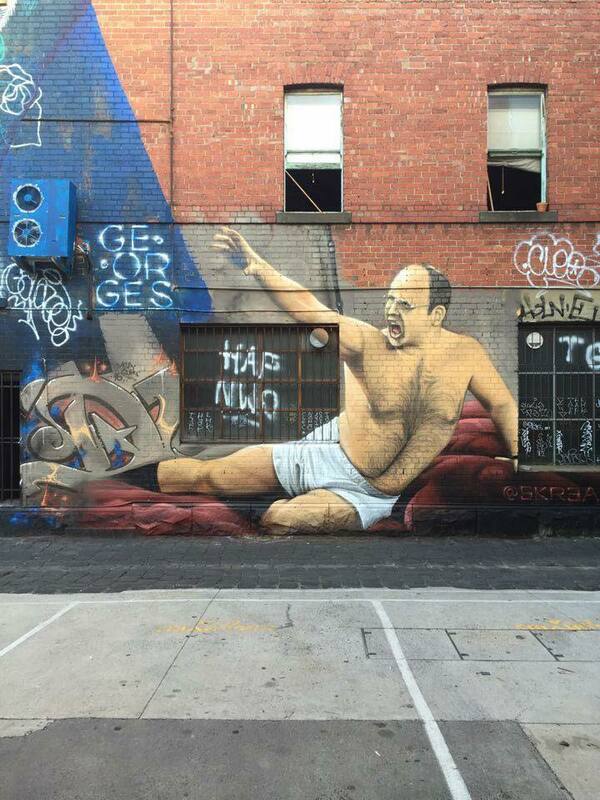 Well now we've got one themed after Mr. Costanza himself, located in Melbourne, Australia. I actually haven't seen a lot of Seinfeld, the show that birthed and featured the New York based ne'er-do-well, but I'd definitely check out this bar. Don't get me wrong, I think the show's awesome and I feel like it's always on in the background at my house, but I've never watched it all the way through. Find out more at georgesbar.com.au. Our second Harry Potter themed entry, but this one is waaaaay sadder. Following the passing of Potter star Alan Rickman last month, fans turned Platform 9 3/4 at King's Cross Station in London into a memorial for the actor. Rickman's cause of death was pancreatic cancer. He was 69. Holy Jack Nicholson this sounds scary. This virtual tour of a "Shining-esque" hotel must be all kinds of awesome, the only catch is you need an Oculist Rift to get the full experience. Virtual reality seems to be heating up again, with 360 degree videos on Facebook and YouTube and the Oculist Rift going on the market. 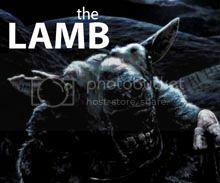 This is only "inspired" by The Shining (it takes place at "The Overview"), so it's probably pretty different from our beloved film. Don't expect to be able to murder Scatman Crothers is all I'm saying. Secret Cinema often comes up in these posts. They're kind of the ultimate escapists, taking a movie and making a living, breathing experience out of it. It looks like they pulled out all the stops for this Star Wars themed adventure over the summer. In it, you're part of the Rebel Alliance, getting transported offworld to a Tatooine looking environment. I'm honestly not really sure how Secret Cinema works. How immersive is it, do you actually even watch the movie that's featured, do the scenes get acted out while they're playing onscreen? Hopefully I'll get to go someday. Thanks for tuning in! If you need more escapism and pop culture fandom shenanigans, head here to check out our running list of stuff happening this month. We'll pick our Top 5 in early March. Do you go to fun escapist events like movie marathons, festivals, movie-themed parties, or concerts? Are you planning on checking out any fun movie fan destinations? Have you seen any cool pop culture themed games, products or food anywhere? Let us know in the comments or by emailing us at totheescapehatch(at)gmail(dot)com.